How Do Clear Aligners Correct Uneven Smiles? Often, we talk to patients about correcting misalignment, but find them hesitant to treat the issue. The problem usually comes down to braces: Few people are eager to wear metal orthodontics for months or years at a time. However, we can offer an alternative with Invisalign®. 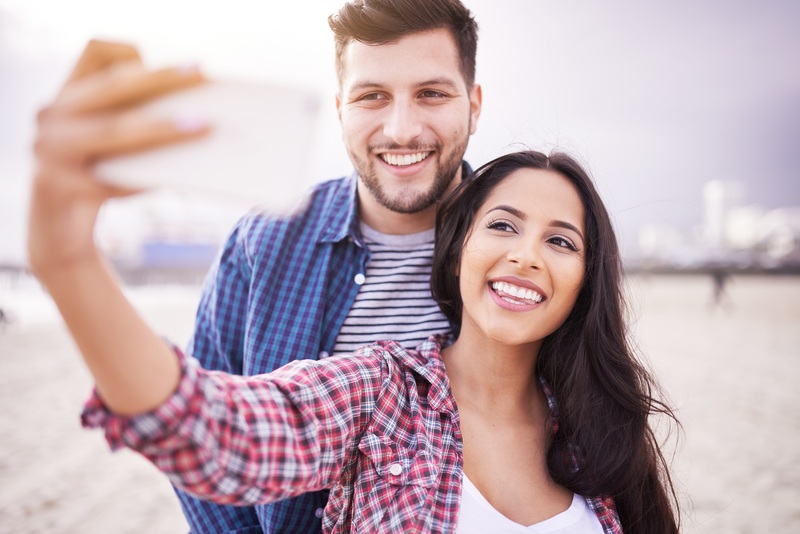 How do clear aligners fix uneven smiles in Hollywood, CA? True or False: Each aligner is custom-made. True or False: Treatment involves wearing them daily. True or False: You can remove them occasionally. True or False: Better alignment means healthier smiles. True. We will take detailed digital impressions and images of your smile, which will be used at an Invisalign® lab. There, experts will craft a series of custom-made aligners, which will fit comfortably and help guide your uneven teeth to optimal positions. True. You will need to wear a set of aligners for between 20 and 22 hours each day. About once every two weeks, you can upgrade to a new set of aligners. Over the course of a year to 18 months, your teeth will be gradually and gently moved to more even positions. The exact time your treatment will require will depend on the severity of your misalignment, as well as whether you wore them as the dentist prescribed. True. You can take them out before meals, which means you can eat your favorite foods throughout treatment. You can also remove them prior to brushing and flossing your teeth, which makes caring for your smiled during treatment very easy. True. An uneven smile can often make removing food particles caught between teeth difficult, increasing the risk of tooth decay, gingivitis, and gum disease. In addition, misalignment can place pressure on the jaw joints, leading to a higher risk of TMJ disorder and bruxism. Correcting misalignment often means a healthier smile! Ready to Try Clear Aligners? We can help correct misalignment with a clear and comfortable alternative to metal braces. For more information, schedule a consultation by calling Modern Smile in North Hollywood, CA, today at 818-763-9353. We also proudly serve patients who live in Burbank, Toluca Lake, and all surrounding communities.